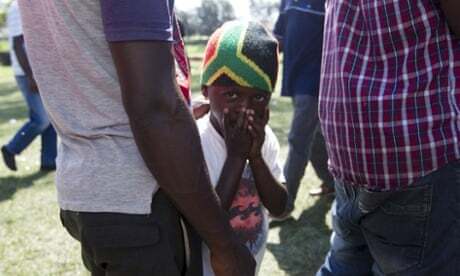 At least five people have been killed and hundreds forced to flee their homes in one of South Africa’s worst outbreaks of xenophobic violence in years, authorities said on Tuesday. Most of the recent unrest occurred in and around the coastal city of Durban, where police said two foreigners and three South Africans were killed. The dead included a 14-year-old boy who was allegedly shot during looting on Monday night and died at a hospital, police colonel Jay Naicker said. Some 34 people have been arrested for possession of unlicensed firearms and other crimes in the last two days, he said. “Police are deployed and in high alert in most of the areas where there are foreign nationals,” Naicker said in a statement emailed to the Associated Press. Despite the increased police presence, authorities are hard-pressed to stop unrest that recalls similar violence in South Africa in 2008 in which about 60 people died. In January this year, four people died during a week of looting of foreign-owned shops and other violence in Soweto and other areas of Johannesburg. Some South Africans have accused immigrants of taking jobs and opportunities away from them. The latest violence followed reported comments by Zulu King Goodwill Zwelithini, an influential figure among the Zulu ethnic group, that foreigners should “pack their bags” and leave. The king has since appealed for an end to the unrest. 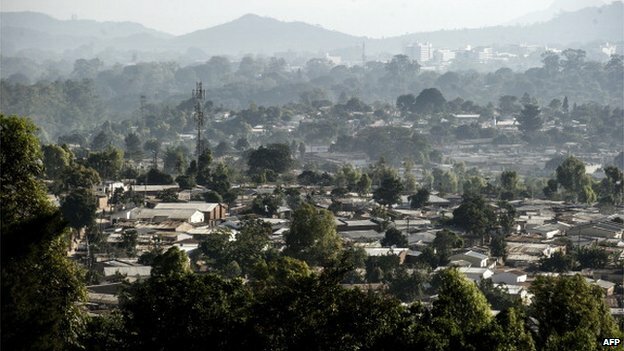 The southern African nation of Malawi plans to repatriate at least 400 of its citizens following the attacks in South Africa, said Kondwani Nankhumwa, Malawi’s information minister. Malawi is currently in discussions with South Africa to arrange temporary travel papers for stranded Malawians because most lost their passports in the chaos, Nankhumwa said. South Africa president Jacob Zuma condemned the violence and assigned several Cabinet ministers to work on the problem with officials in KwaZulu-Natal province, which includes Durban. The government is addressing South African citizens’ “complaints about illegal and undocumented migrants, the takeover of local shops and other businesses by foreign nationals as well as perceptions that foreign nationals perpetrate crime,” Zuma’s office said in a statement. It quoted the president as saying that many foreign nationals are living legally in South Africa and are contributing to economic development. On a visit to South Africa last week, Zimbabwean president Robert Mugabe thanked South Africa for hosting many Zimbabweans and said Zimbabwe would work with South Africa to improve border security. It is estimated that as many as 3 million Zimbabweans are living in South Africa, many as illegal immigrants. The violence against immigrants is “an expression of a terrible failure of memory by South Africans” who endured racial intolerance under apartheid, two South African foundations said. The foundations are named after anti-apartheid leader Nelson Mandela, who died in 2013, and Ahmed Kathrada, another campaigner against the white racist rule that ended in 1994. At least 48 people have been killed and around 23,000 forced from their homes by heavy flooding in Malawi, the country’s leader said on Tuesday. One government official said many victims died when villages were flooded in Mangochi district, an area in the south about 100km (60 miles) south of Blantyre, the commercial capital.